Blood Sukka by Vampire Vape comes with one hell of a bite, a combination of cherries, berries, red fruits, sweet eucalyptus, aniseed and menthol. 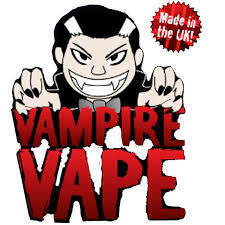 Blood Sukka e-liquid by Vampire Vape comes with one hell of a bite, a combination of cherries, berries, red fruits, sweet eucalyptus, aniseed and menthol. Blackberry Burst By Tempest E-Liquids UK.